Do come in… we’ve been expecting you! The house at the end of Winding Hollow Road dates back to 1881. Despite its longstanding presence, the home has rarely been occupied. Families would move in, and quickly be driven away… Five past residents ended up in a nearby psychiatric institution, all curiously alluding to the old home’s attic as the sole source of their derangement… You’ve been sent to investigate the ominous Winding Hollow Estate. Will you discover what’s lurking within the shadows? Codescape is well known in Charlotte for having great sets and immersive games, which is exemplified by their Shipwrecked room, which we really loved. We all have our faults, however, so we were definitely hoping for a more Shipwrecked-like experience and less of an Experiment one. I had high hopes going in, as The Residents comes highly recommended from many local enthusiasts, and is a spooky haunted attic, one of my favorite themes! The Residents is a great introductory game, presenting a fairly straightforward game flow while sprinkling the puzzles throughout a non-linear path. This kept most of our group engaged during our time in the room. The puzzles themselves are very original, and used many of the props within the room in outside the box ways that demanded keen perception and teamwork to conquer. The room incorporates several well hidden technological items to keep players on their toes with scares and interesting interactions. The set design is great, and really immerses players in the creepy old attic, adding several weathered touches to the game to drive home the history of this haunted home. Story touches are interesting, and while they are somewhat secondary to the puzzles, they don’t feel haphazardly thrown in. For enthusiasts, this one might fly by a little quickly. 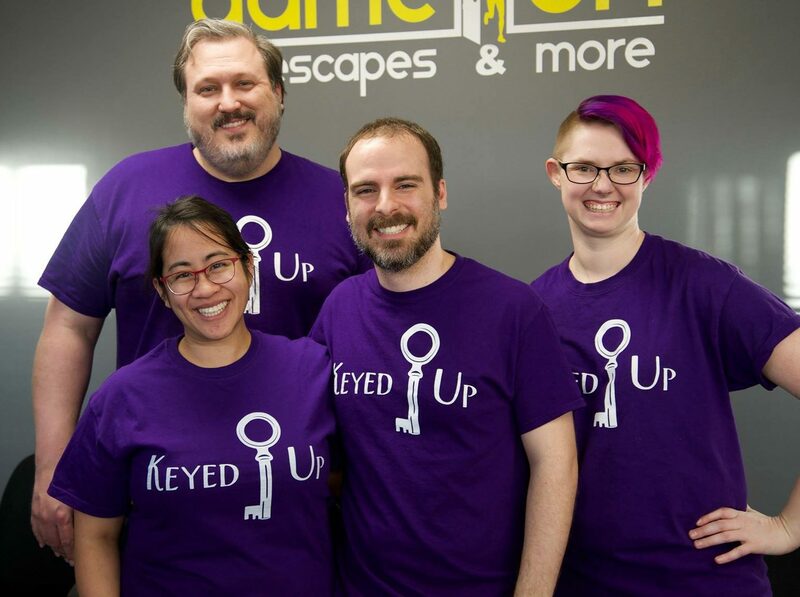 We escaped in ~27 minutes, and were just behind the record, so I could definitely see other experienced groups breaking out really quickly, and at $28 a person, that’s a steep price for how long we actually spent within the room. The maximum of eight is also much too high. For this trip, we had seven players at times, much more than our usual cap of 4-5, and it was very tight in The Residents. The rooms could hold that many people, but we were right on top of each other at several points, and the game flow, while non-linear, still did not support that many players. The attic’s set design is very nice, and did provide an immersive experience for the most part, but the climax of the room left much to be desired, as the room just sort of ended without much in the way of fanfare or revelations. The Residents in a great game for beginners to start their escaping career with, or for enthusiasts to bring new players along to, as the straightforward and somewhat simpler game is a perfect introductory room. Enthusiasts might want to check out a more challenging room instead, or try to keep their group size small, (this may be difficult or overly expensive, as Codescape employs a public ticketing model,) though there is still a lot of excitement to be found inside if one is a fan of the theme. You can book your time investigating the haunted attic here!